We accept all Major Credit Card, NetBanking, Wallets, UPI because We know how fast you want your web service. We have made arrangements for making it easy for both the ends. Note: In the case of Online Payment we will charge 2% convenience fee for online payment. 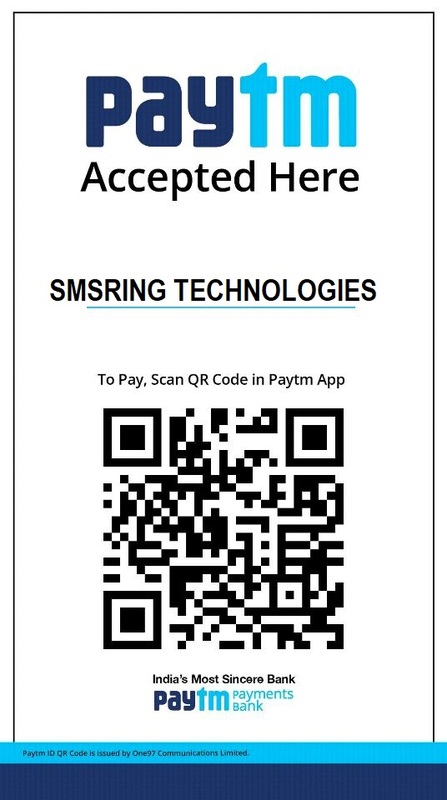 Cheque/Cash/DD: Deposit the cheque/cash/DD directly in SMSRING Bank Account and Email us the scanned copy of Bank pay-in slip.